Chorionic villus sampling is performed at an earlier stage of pregnancy than amniocentesis, generally around the 10th week of pregnancy. During CVS collection, a small amount of tissue is retrieved from the placenta by an obstetrician. This procedure is usually painless. Amniocentesis is generally performed at a later stage than Chorionic Villus Sampling, usually after the 10th to 15th week of pregnancy. During amniocentesis, a small amount of amniotic fluid is withdrawn transabdominally by an obstetrician with the aid of ultrasound guidance. 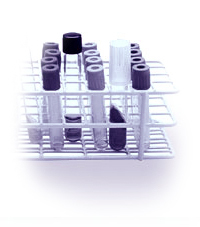 After the samples are collected by your physician, they are forwarded directly to our laboratory for DNA testing. Please note that the procedures indicated above have a small risk to the foetus (e.g. miscarriage). Clients who are considering prenatal DNA testing should consult with their obstetrician to discuss the risks involved. Our laboratory advises all clients who are considering prenatal paternity test to consider refraining until the child is born. The cost for prenatal testing is $279 US (does not include any fees charged by the physician for sample collection). The shipping fee for the amniotic fluid kit is $25 US (includes kit and delivery). Results are available 7 - 9 days from the date that our laboratory receives the samples. Download the application package and give the Genex Specimen Instructions Sheet to your doctor. The information sheet will provide your doctor with details regarding the types and quantity of sample that we will require. After you succeed in arranging an appointment with your doctor, please fax or mail the completed application form back to our laboratory. After receiving your order and payment, we will immediately ship a prenatal sample collection kit directly to you. We will also send you a buccal swab collection kit to collect a buccal swab sample from the alleged father. Bring the prenatal testing kit to your doctor at the time of your appointment. After the sample is collected, please send the prenatal sample and the alleged father's sample directly to our laboratory for testing using express courier (e.g. UPS, DHL). Results are available approximately 7 - 9 days from the day that we receive your samples.